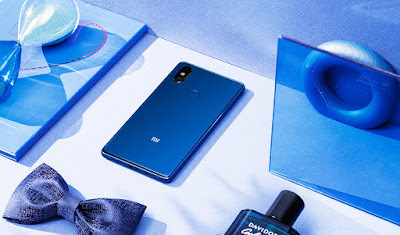 Xiaomi recently launched Mi 8, Mi 8 SE and Mi Band 3 in China and Redmi Y2 in India. Now According to new report Xiaomi to bring Mi 8 SE (Mi 8i) and Mi Band 3 in India Next Month. Mi 8 SE will be launched as Mi 8i in India, with the “i” in the name signifying India. Xiaomi Mi 8SE is expected to be priced under Rs 20,000 in India. Xaiomi Mi 8 SE has a 5.88-inch Full HD+ AMOLED display powered by Octa Core Snapdragon 710 Processor. On Camera, it has a 12MP+5MP dual Rear AI camera and 20MP front-facing camera. It has 4GB RAM with 64GB Storage, 6GB RAM with 64GB of internal storage. Packed with a 3120mAh Battery. Connectivity options include 4G VoLTE, Wi-Fi 802.11 ac (2.4GHz / 5GHz), Bluetooth 5 , GPS + GLONASS, USB Type-C.
Xiaomi Mi 8 SE and Mi Band 3 expected to come to India in the last week of July.